On March 23, 2010, President Obama signed the Affordable Care Act. On June 28, 2012 the Supreme Court rendered a final decision to uphold the health care law. The law puts in place comprehensive health insurance reforms that will roll out over four years and beyond. 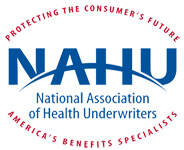 Individuals and small businesses can buy affordable and qualified health benefit plans in this new transparent and competitive insurance marketplace. Open enrollment began October 1, 2013. Tax credits to help the middle class afford insurance will become available for those with income between 138% and 400% of the poverty line who are not eligible for other affordable coverage.